Sometimes on the internet, you can find something so magical, so amazing, so completely fantastic, you’re like, “WHOEVER DID THIS IS GENIUS!!!1! !1!” And sometimes, if you’re really lucky, they write a tutorial on how you can make the aforementioned magical, amazing, completely fantastic thing yourself. And the best part, it’s dirt cheap and you can have it done in an hour. So, you start with lots of paint samples. Since I have recently spent a bajillion dollars on paint for the house, I didn’t feel guilty about snagging a *ahem* few of them. You’ll need about 10-12 red, 6 orange, 2 light yellow, 3 white. (I think.) I kept it simple and just used these four colors. Then it was off to cutting. 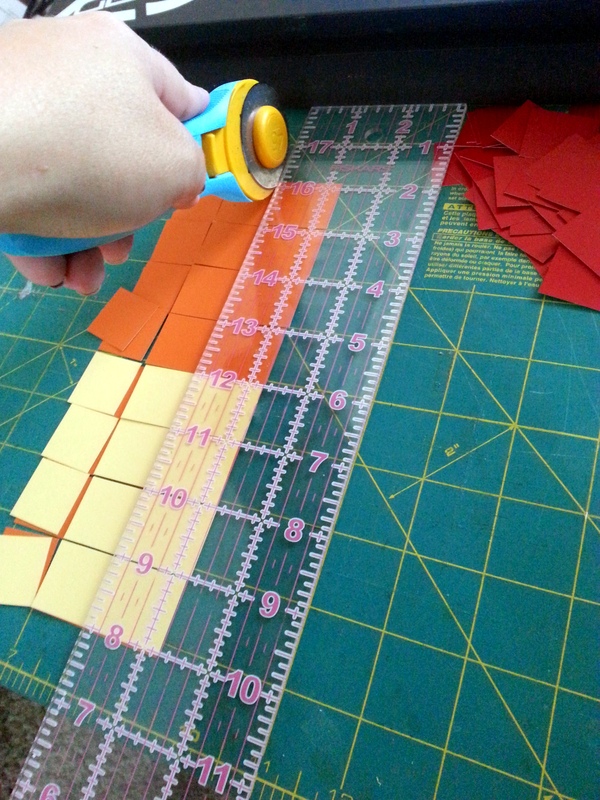 Now I’m sure I’m committing a horrible travesty using a rotary cutter to cut paper, but I do NOT see any quilting in my future and I already have another rotary cutter kicking around the house somewhere if I do need to cut fabric. Then, I followed the pattern from Our Nerd Home to lay out the design. I did run out of red squares so I swapped it for a few oranges, but I think it looks just fine. Then it was on to the next step: gluing! It took me less than a half of a glue stick to finish the sucker. 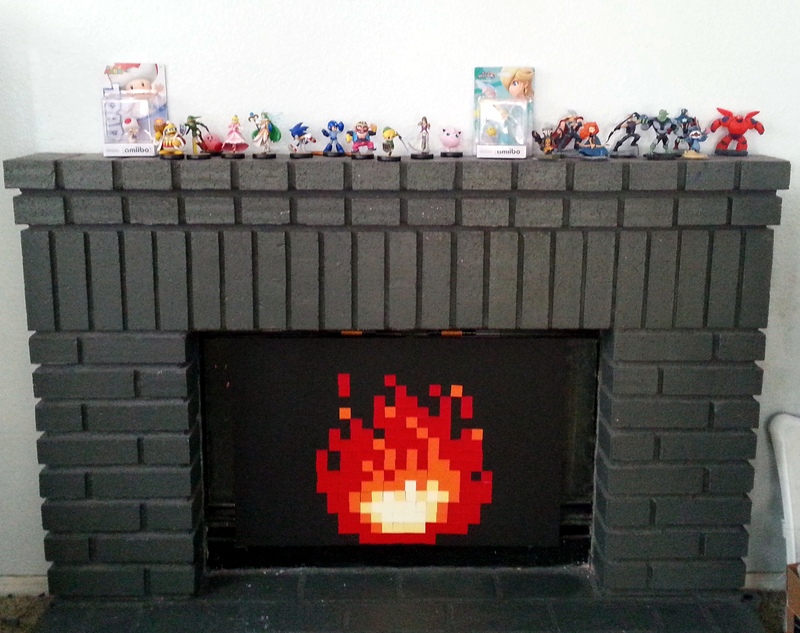 Then, it was time to set it into it’s place of honor on the fireplace. It’s so perfectly geeky, I might have shed a tear when I was taking the pictures.